PUNE: With nearly 20 years of experience as a corporator in the Pimpri Chinchwad Municipal Corporation, Shrirang Appa Barne has seen the grind of local politics. 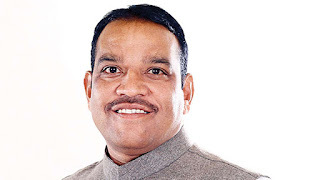 But when he was elected to Parliament from Maval in 2014, the Shiv Sena MP was raring to do good as a lawmaker in the tallest institution for people’s representatives. Maval, located on the edge of Pune city, straddles the districts of Pune and Raigad, a world apart from New Delhi. “Everything was new in Delhi. I had to make sure to learn all rules and procedures diligently. I wanted to get my basics right. I didn’t have a mentor to guide me; I learnt by observing others. Other MPs taught me how to raise issues and ask questions, how to make the most of the limited time,” he says. Barne thanked his party leadership for providing him with opportunities to speak frequently over the last five years. “Since my party only has 18 MPs, we got less time, but I was given enough chance to talk. We held party meetings on Tuesdays to discuss issues that we need to talk about,” he says. Among his more memorable moments was the time he gave a speech in Marathi, to demand classical status to the language. “In the early days, speaking in Hindi was a challenge, because I am not used to speaking the language before a large gathering. But when I got the chance to do so, to speak on the demand seeking classic status for Marathi, it was personally memorable. I was appreciated for the speech by Jyotiraditya Scindia, Mallikarjun Kharge and Speaker Sumitra Mahajan,” he added.